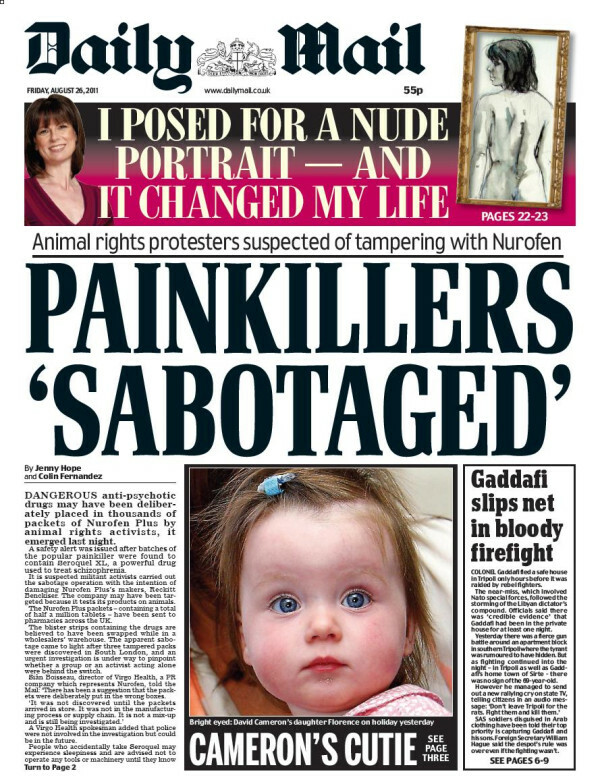 Tabloid Watch: 'Animal rights protestors'...or a codeine addict? One of the best from the Mail. No evidence in the story, and so poorly sourced that it wasn't even picked up by other churnalists. There is not even any evidence that the company tests on animals. Simply made up: astonishing that someone can get paid for just imagining things. I wish I could get paid for imagining things. I'd love to be a world famous fantasy author. 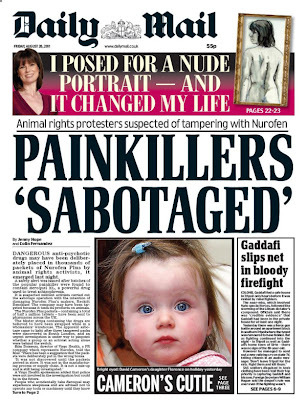 But as many people who read the paper will now go to their graves believing the story to be true (and remember, the 'apology' will be 5pt on the bottom of page 63), the aim has been achieved. Job done.